Maritime training facility offers professional-level and practical boating courses to keep recreational boaters of all levels safe on the waterways. SAN DIEGO—Boating safety is not to be taken lightly, especially when most accidents are caused by operators, not machinery malfunctions. Dave Abrams, CEO of Training Resources Limited Maritime Institute (TRLMI), knows this all too well. 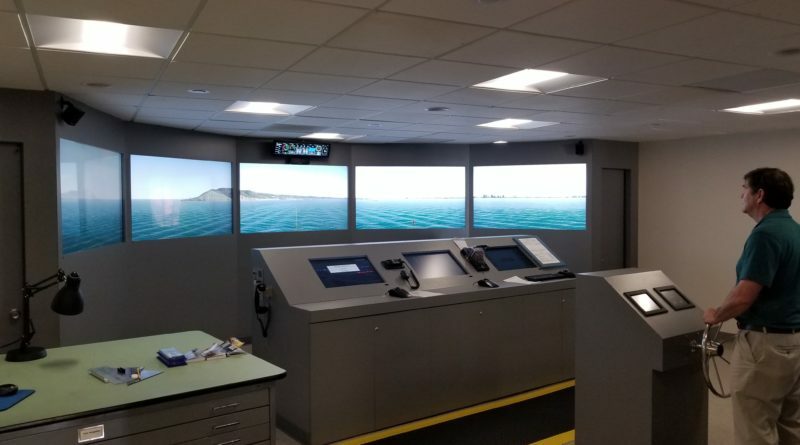 TRLMI merged Maritime Institute and Training Resources earlier this year, and the facilities, which were updated in 2017, offer unique simulation experiences — the only way to get a closer hands-on experience would be to practice at sea. The simulators place an emphasis on real-world scenarios and just some of the equipment includes firefighting simulation (with real fire), a high-voltage simulator and even a full-scale lifeboat demonstrator. Normally, boaters are some of the most prepared people for emergency scenarios, but Abrams says TRLMI went to great lengths to address gaps they saw in boater education such as more in-depth curriculum for engine and mechanical issues. The 18,000-square-foot training area includes 15 classrooms dedicated to just about any boating subject under the sun, from decks and engineering to life and safety curriculum. “We are the largest privately held facility covering the waterfront, and we have a broad offering for mariners,” says Abrams, who adds that TRLMI is one of San Diego’s best-kept secrets. Maritime Institute was founded in 1976, and Training Resources Limited was founded in 1998, together there are more than 40 years of serious on-the-water training for military personnel and civilians alike. While TRLMI has advanced courses geared toward individuals who wish to pursue a career in maritime areas, many courses are offered for the beginning boater as well. Abrams states for the beginning boater who may not be prepared for the more advanced courses just yet, the Boater Education Series is a great place to start. One thing to be certain, the courses offered at TRLMI provide participants with an experience like no other. All 25 instructors are retired military personnel or merchant captains with 20 to 30 years of sea voyaging under their belts. Courses might be considered on the pricier side at around $495 for each, but with offerings such as Marine Electrical Systems, Marine Diesel Engine Maintenance, and other tailored classes that meet the needs of merchant mariners, yacht crews, commercial fishermen and other professional-level mariners, recreational boaters would be highly prepared for anything that could go wrong and then some. TRLMI is located at 3980 Sherman St. in San Diego. To learn more about classes offered by TRLMI, visit the official website at trlmi.com or call 866-300-5984.